It Takes You Away is not what we expected. 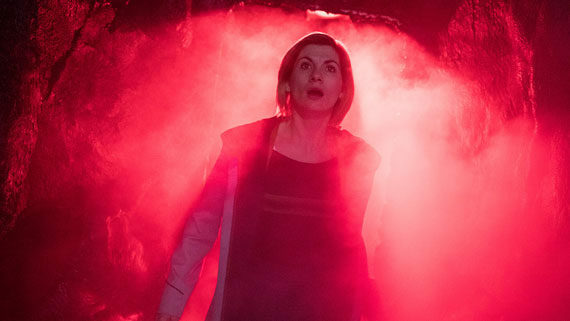 The trailers, synopsis and preview clips had built up said-expectations for a proper spooky episode of Doctor Who – creepy house in the middle of nowhere, intriguing mystery involving mirrors, monsters in the woods…basically, all the calling cards of a potentially great ghost story. But upon watching the episode, it soon becomes clear that the episode has other ideas as to where to go. Things certainly start off in the way of most horror films, with our heroes finding a deserted cabin in the Norwegian woods, a blind teenager fearing for her life, and strange monster roars coming from the forest. But as events move along, the episode soon changes tact altogether. Ed Hime’s story has all the makings of a proper scary story but doesn’t utilise these elements in a way that is scary at all. Granted, there’s plenty of doom-laden atmosphere to proceedings but by-and-large, there’s little in the way of creepy moments or jump scares. The closet we get is the appearance of the slimy alien Ribbons (played here by Kevin Eldon) and some flesh-eating moths, but both are largely inconsequential to the main plot (the threat of the moths is quickly forgotten about once the climax hits anyway). Even the title is misleading – no one actually gets ‘taken’ anywhere! Of course, there’s little point in reviewing an episode for what it isn’t. What it is is definitely decent. Easily one of the more emotional episodes we’ve had this season, It Takes You Away deals with grief and loneliness in a unique and heartbreaking way. Doctor Who is always adept at subverting genres and going in unexpected directions instead, and what we have here is no different. There’s no greater example of this in play then with a particularly surreal scene near the climax. It’s an idea some viewers will undoubtedly dislike, what with it being so ridiculously silly, but it certainly matches the tone of the episode and plays the idea straight enough. The idea of a conscious universe kept separate from our own is also an interesting development, and the manner in which the writer conceptualises it is clever and emotionally resonant. 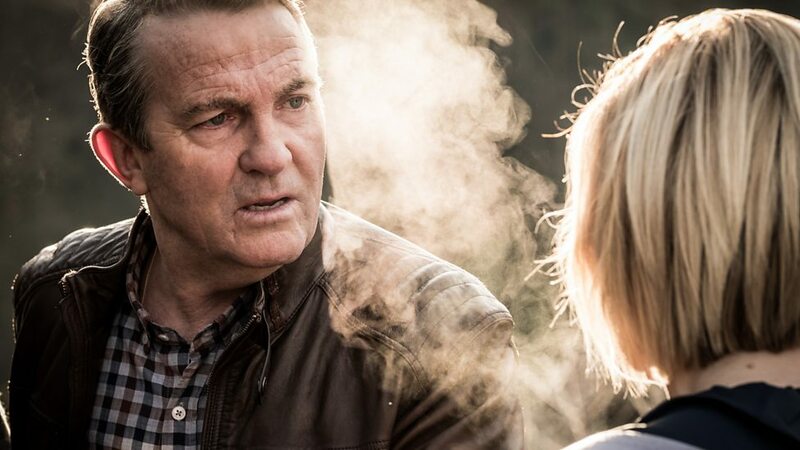 The return of Sharon D. Clarke as Grace is a nice touch, and once again Bradley Walsh gets the chance to really show-off what a cracking actor he is. The scenes between Graham and Grace are some of the most heartbreaking scenes we’ve had all year, and both actors deliver the goods in a beautifully understated but saddening manner. Of course, as much as there is to enjoy, the episode never quite hits above average, no matter how compelling the human drama is. Like most of the stories this year, there’s a complete lack of a decent villain, which would be fine, had the majority of the episodes this season not done the same thing. The idea of a mirror universe is such a great sci-fi concept with lots of great visual possibilities, but the director and writer never utilise said-concept in ways that visually stand out or befit the story. And the guest characters are rather underdeveloped, which unfortunately renders a lot of scenes empty and defunct. Doctor Who concludes next Sunday on BBC One. Be sure to check out our Series Blog and join us for our verdict of the series finale. 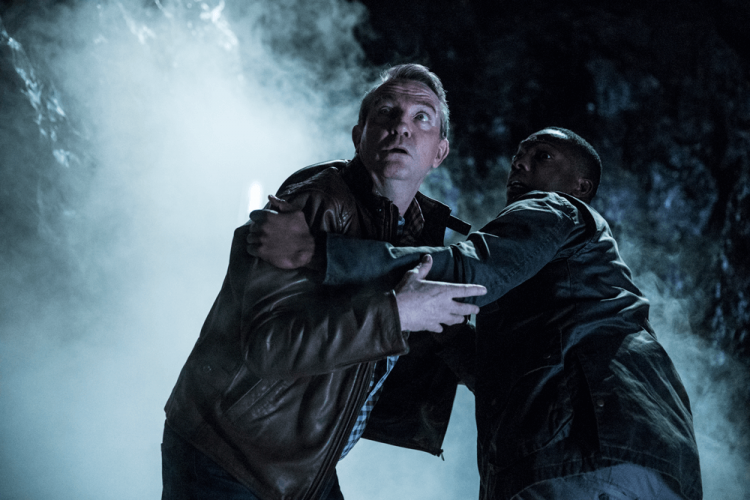 Tags: BBC Doctor Who, Bradley Walsh, Doctor Who, Doctor Who Series 11, Doctor Who Series 11 Blog, Doctor Who Series Blog, Ed Hime, Eleanor Wallwork, Jamie Childs, Jodie Whittaker, Kevin Eldon, Mandip Gill, Sharon D. Clarke, Tosin Cole. Bookmark the permalink.